Having a great product does not mean much if you do not have a unique way to get that product to your customers. Proper custom product packaging can help you distribute your goods with style and consistency at the wholesale level. Using a certain style of specialty bag can make your product instantly recognizable; don’t settle for bland product wholesale packaging that seems hardly good enough! Instead, use our custom product packaging designs to maximum usefulness and visual appeal! 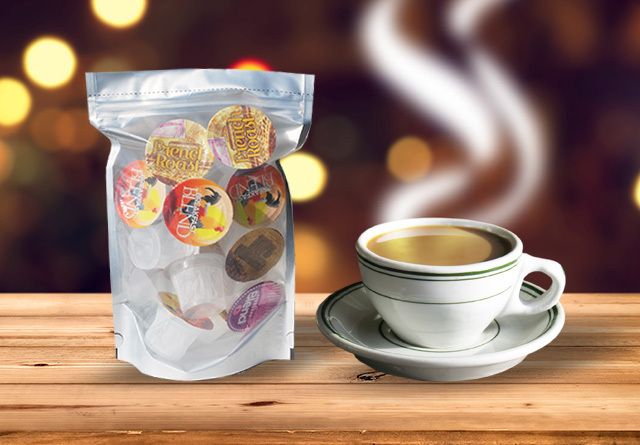 Our advanced technology and incredible designs make our products perfect to use as coffee pods, snack bags, display holders, wholesale coffee bags, and so much more! Your customers will thank you as they enjoy their coffee, tea, cocoa and snacks in the shop or at home. After selecting quality products for your business, you have to consider how you are going to distribute those products. Your products should not only stay fresh in their packaging but also be convenient to use and have visual appeal. The right product packaging ensures that you have marketable products and satisfied customers. Custom packaging can help you build your brand by creating a recognizable look for your product. When customers see your custom bags or recognize the label on your single serve coffee pods, they will anticipate the quality they associate with your goods. Custom Bag Packaging for Coffee, Treats, & More! Custom bags can offer convenience in addition to achieving the right look for your wholesale products. 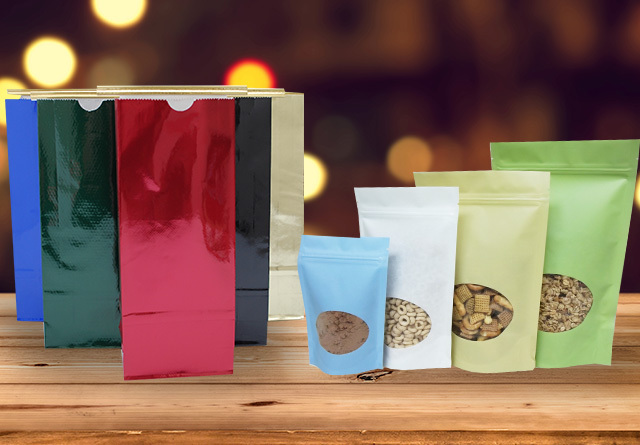 From four ounce side gusseted bags to one pound bags and pouches, we at North Atlantic Specialty Bag have curated a selection of custom product packaging options that is practical and ensures that items stay fresh as well as look good. We consistently receive positive feedback on our custom packaging and are always considering new ideas in order to best accommodate those in multiple industries. We’re confident that we offer some of the best packaging available. Let us know which custom bags we can provide for you by contacting us! Although single-serve coffee pods must always be the right size and shape for a coffee maker, they too can bring recognition to your brand with wholesale custom packaging. Printed pod lids and bulk packaging options allow you to create a look for your product that appeals to your customer base. Convenience abounds here too. Printed tea, hot chocolate or coffee pod lids can display your logo and indicate what type of drink can be made with each pod. Display trays for countertops make it easy for customers to identify and select their favorite flavor for a quick brew. And display boxes can allow for the single sale of each pod or offer customers the option of carrying home a dozen of their favorite flavor. At North Atlantic Specialty Bag, we care about a lot of the same things our customers do, including the environment. Because we understand the importance of creating and enforcing environmentally friendly products and product packaging, we have created a line of biodegradable and compostable paper custom bags! If you have any questions or want to learn more about what we as a company are doing to create a better tomorrow, check out our solar energy program and a letter from the president of North Atlantic Specialty Bag!